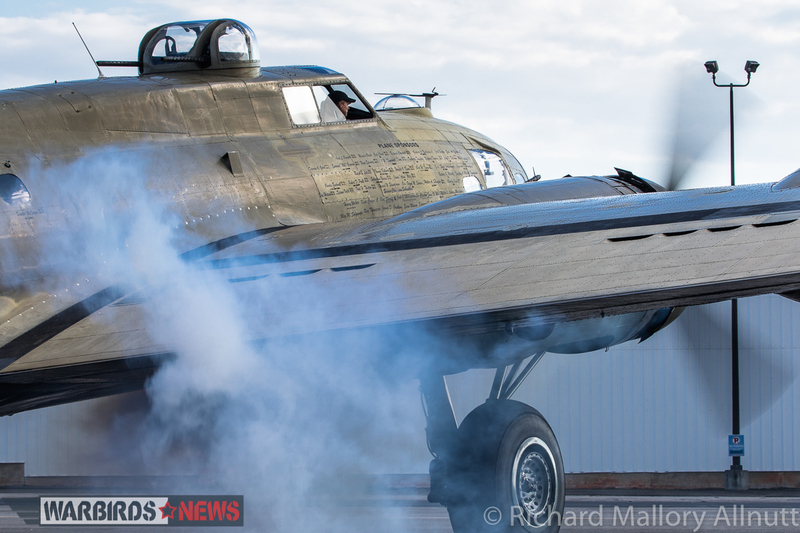 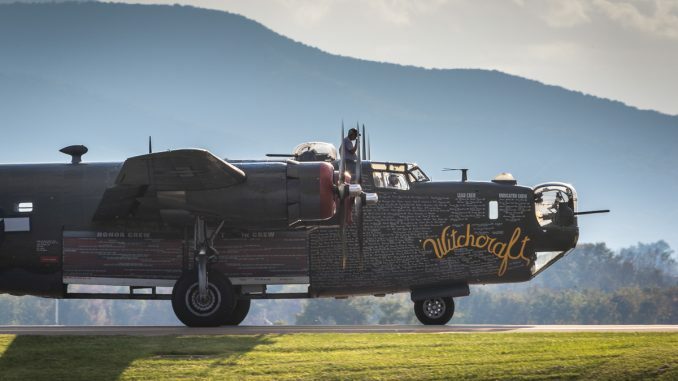 As they do every year, the Collings Foundation flies a number of their warbirds around the USA in an extensive 100+ city tour reminiscent of the barnstorming days of yore. 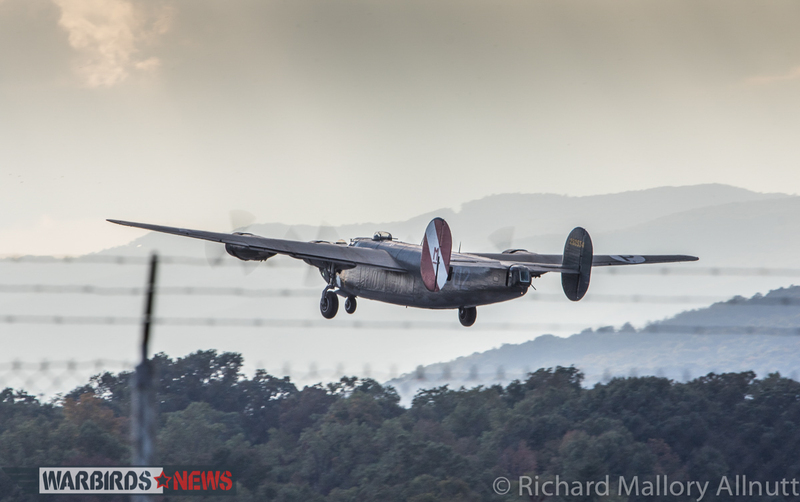 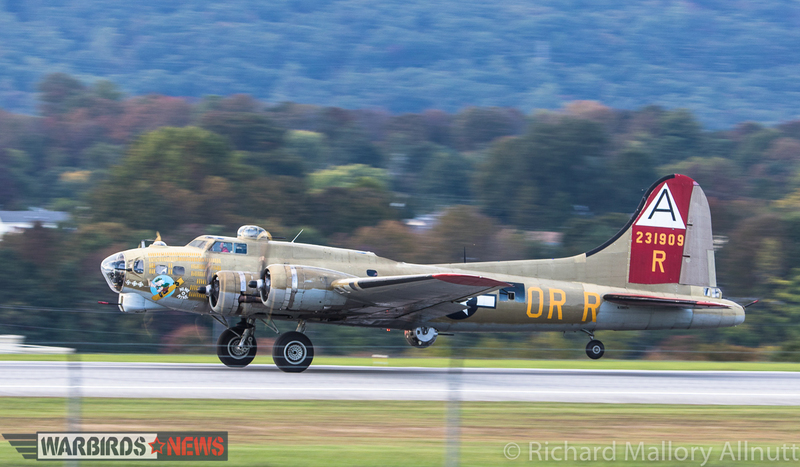 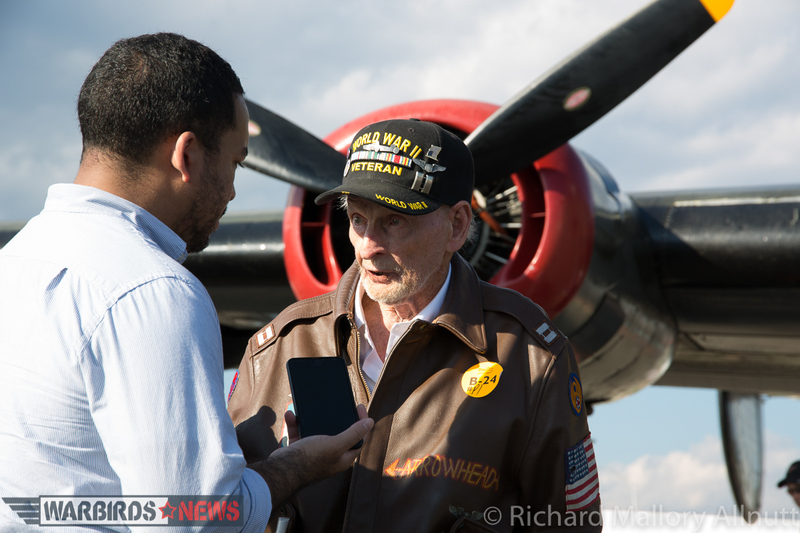 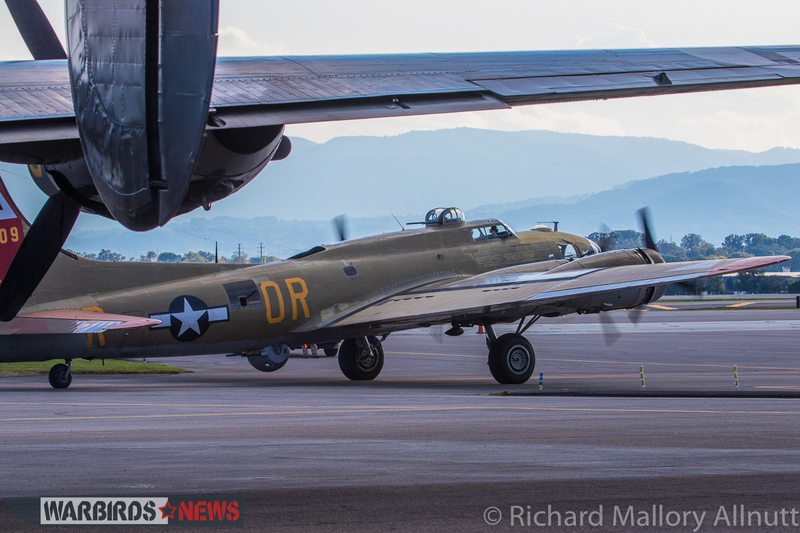 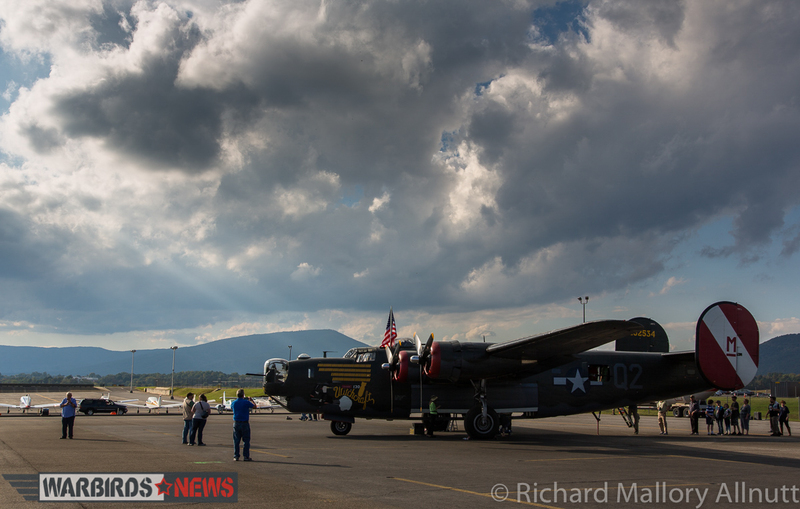 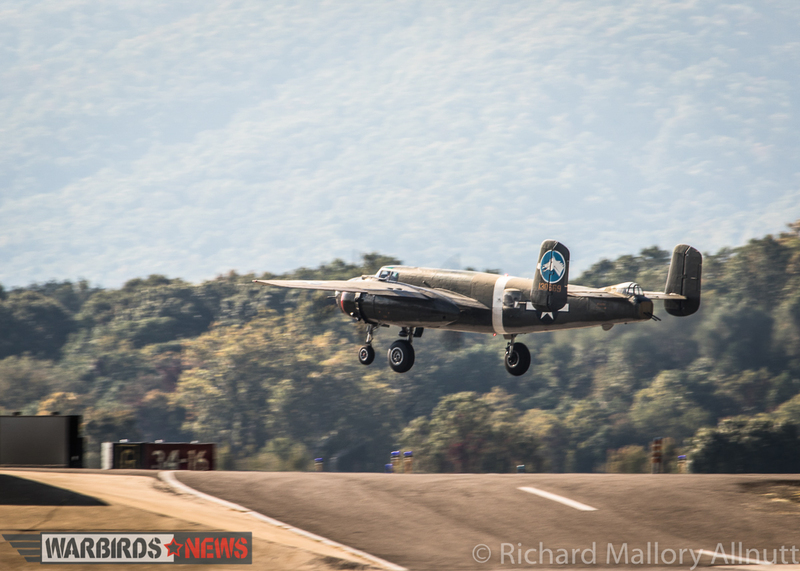 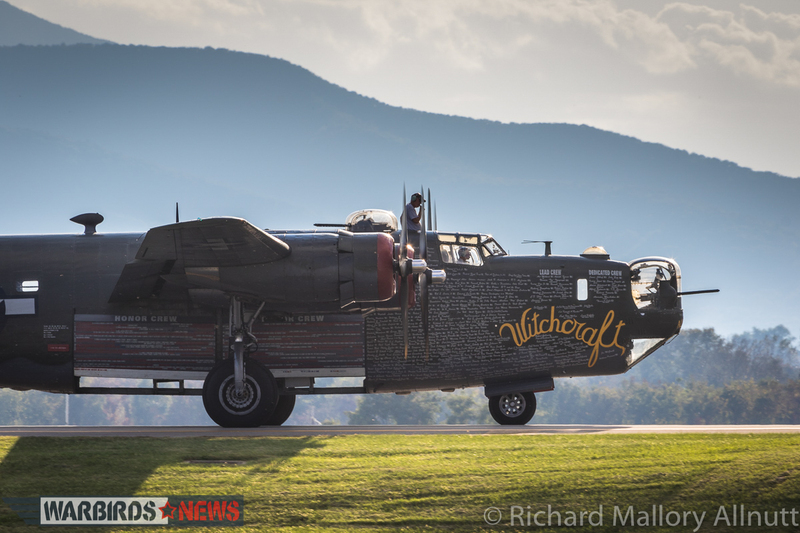 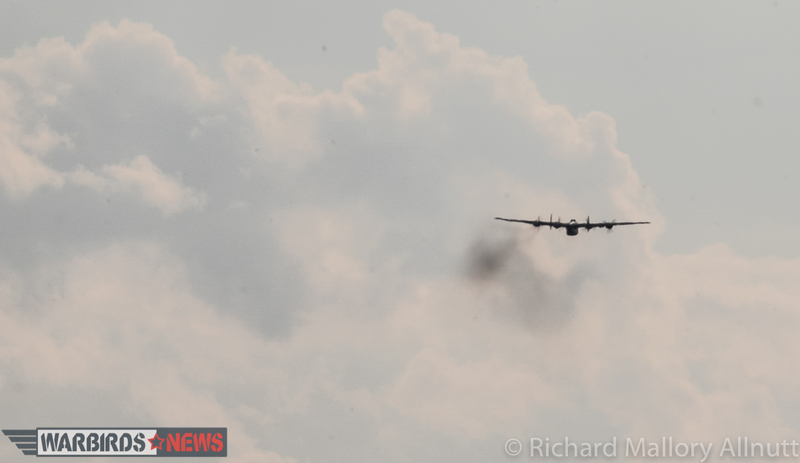 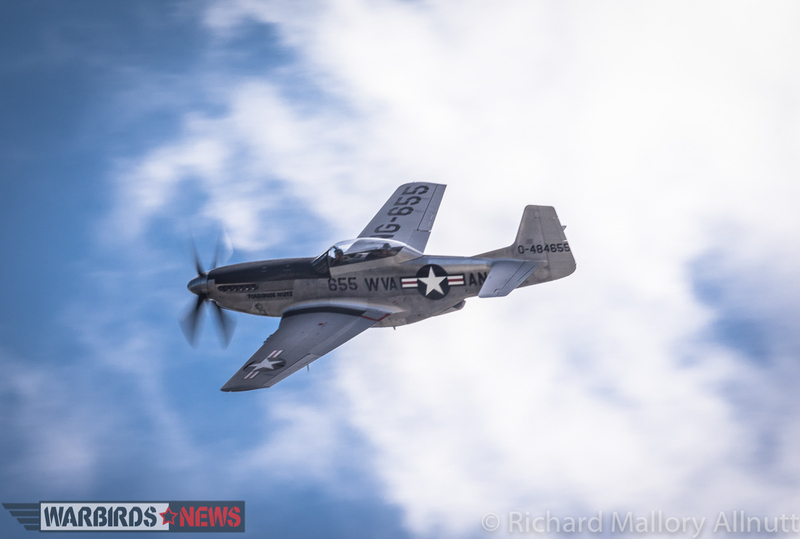 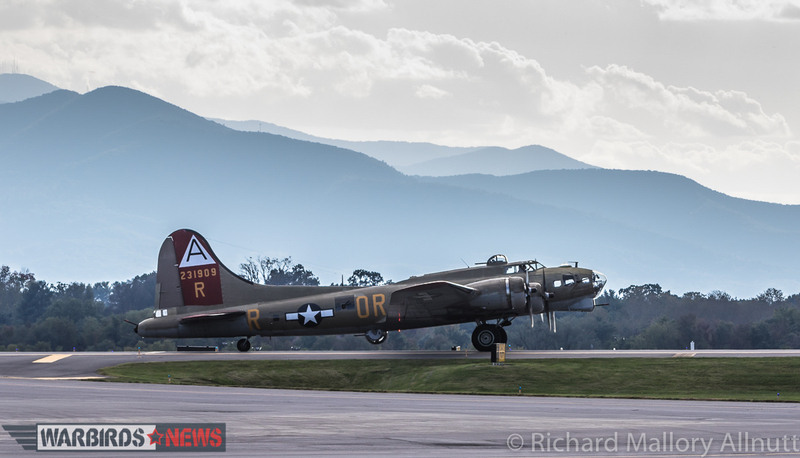 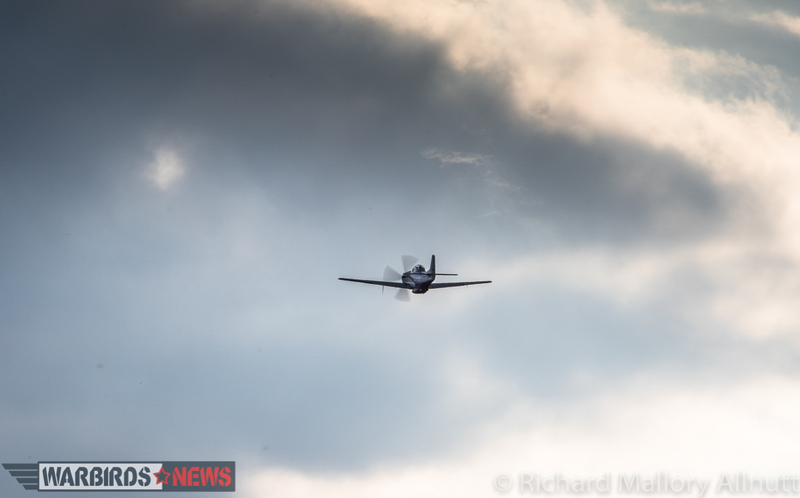 This year was no different, and it was a real delight to see three of their bombers and their newly-minted, dual-control TF-51D arrive in Roanoke, Virginia a couple of weeks ago as part of their Wings of Freedom Tour. 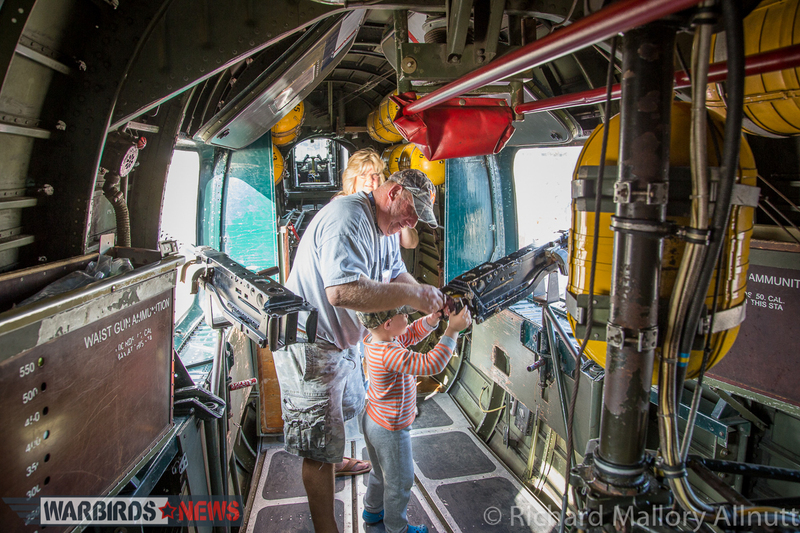 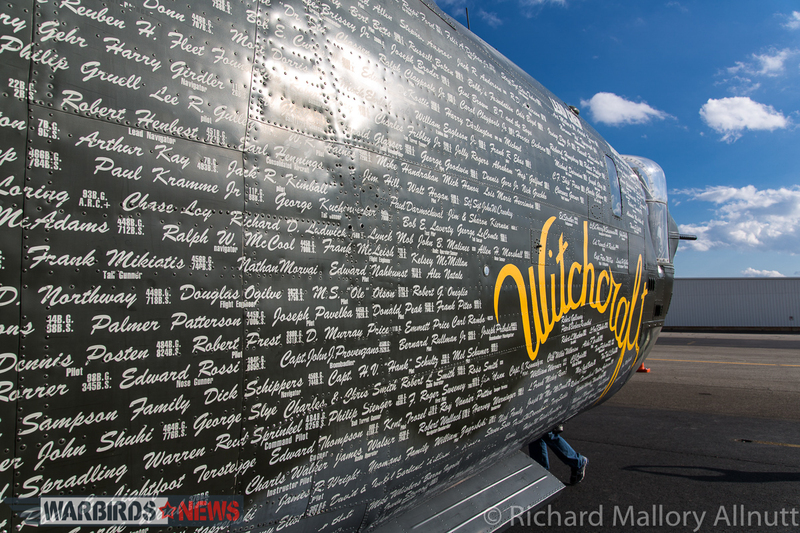 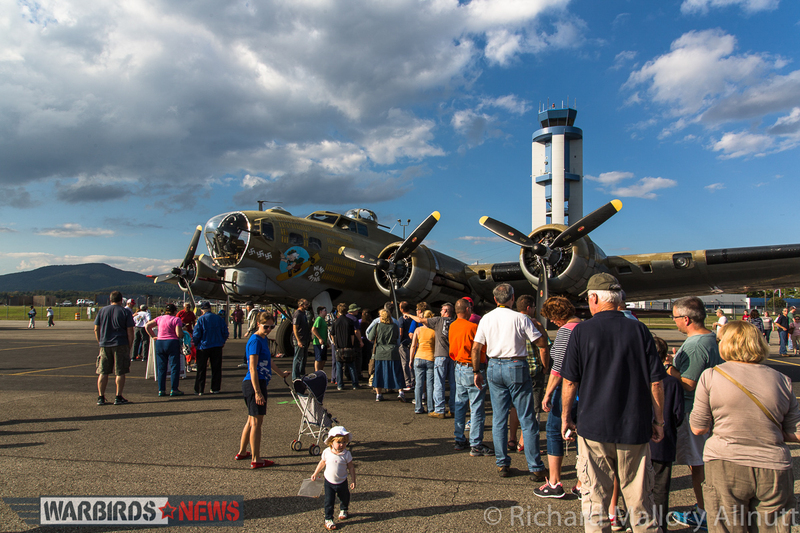 On the Sunday afternoon, during WarbirdsNews visit, there were well over a hundred people touring the Collings Foundation’s B-17G Flying Fortress “Nine-o-Nine” and B-24J Liberator “Witchcraft”. 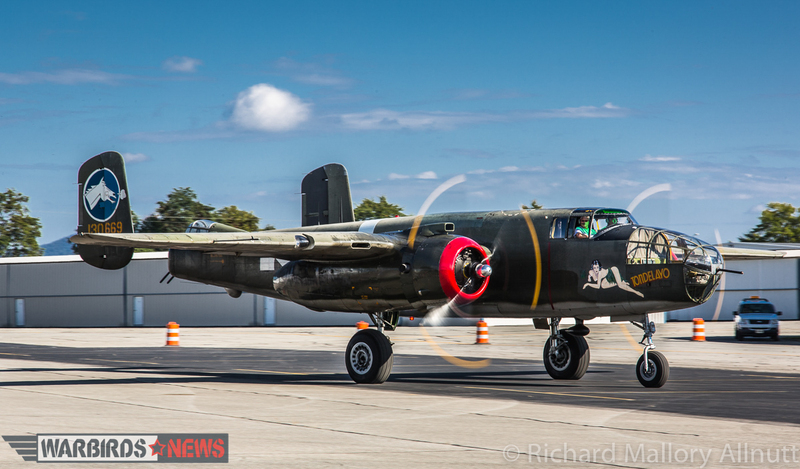 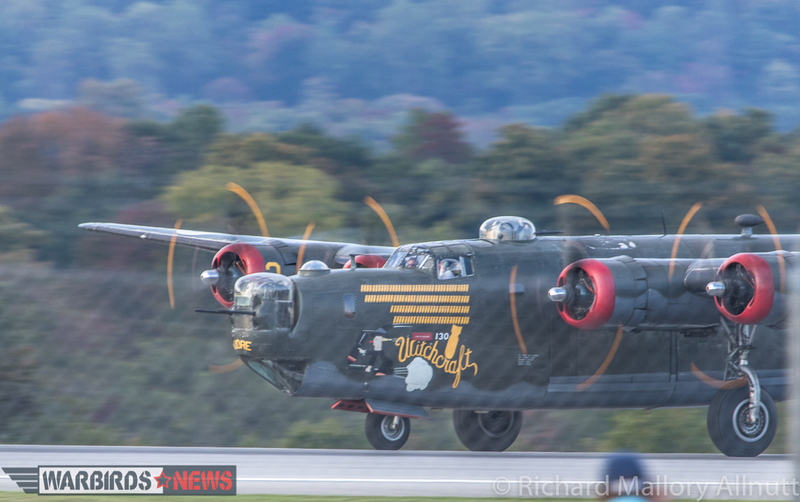 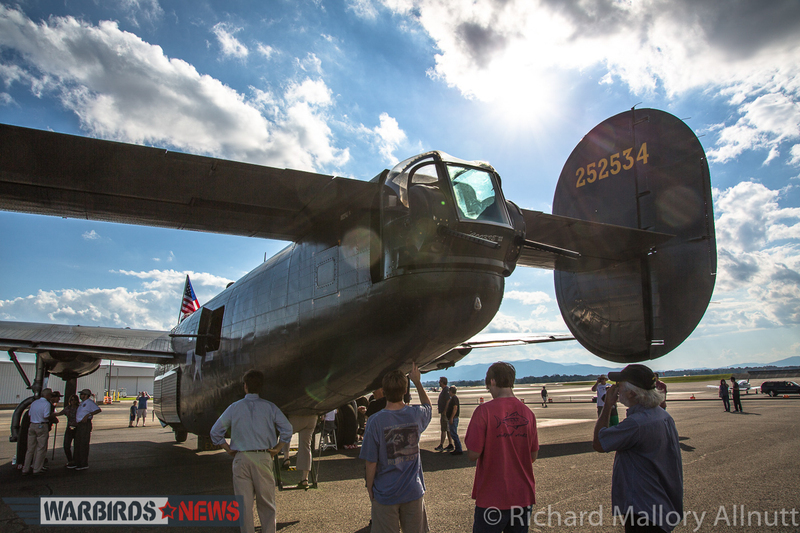 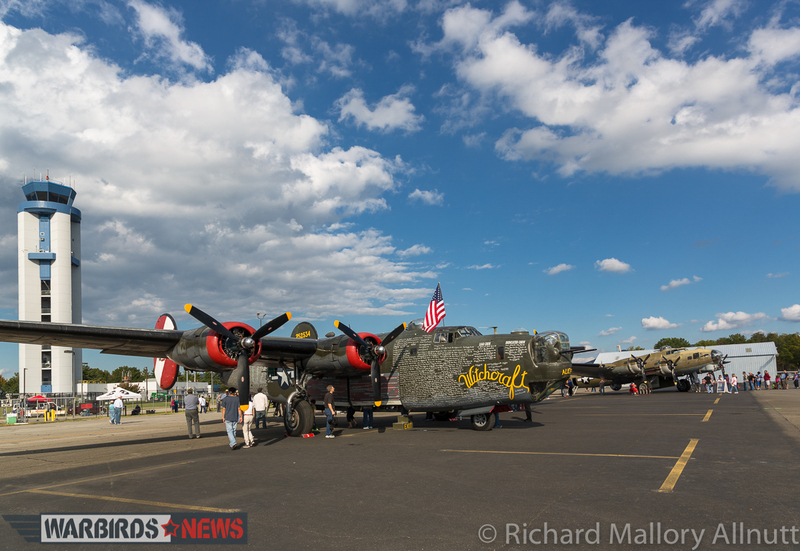 Collings’ B-25J Mitchell “Tondelayo” was also present and very active. 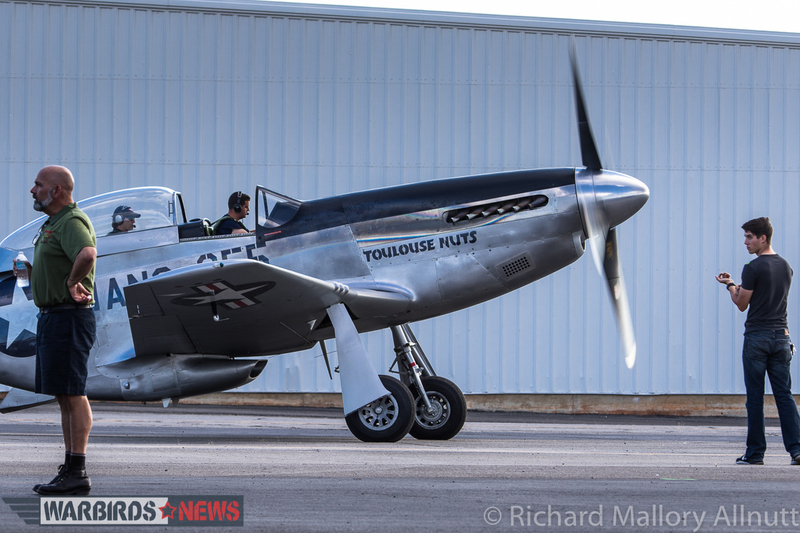 P-51D Mustang “Toulousenuts” was making her first visit to Roanoke Regional Airport and kept busy giving rides, as were the bombers. 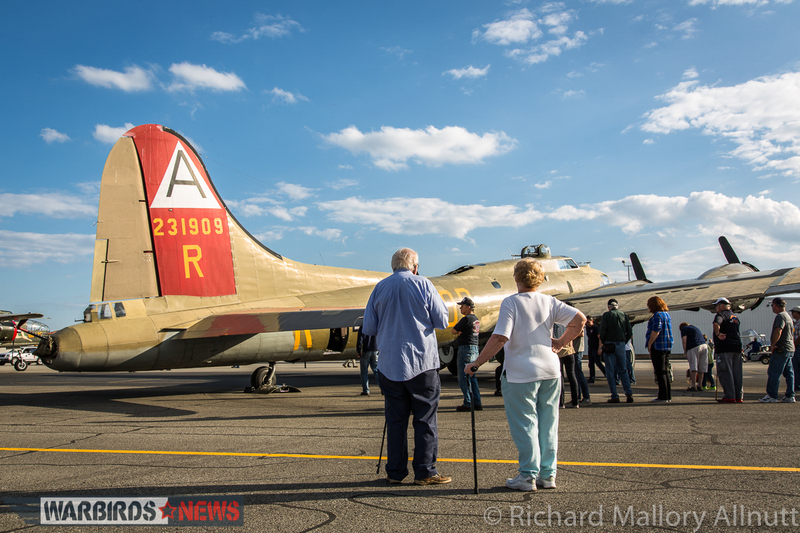 It was good to see so much public enthusiasm for the vintage warbirds. 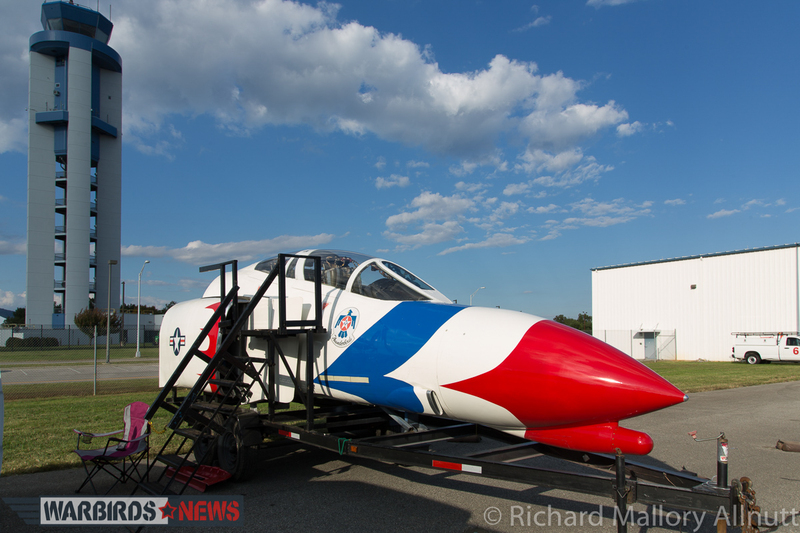 Also on display alongside the Collings Foundation’s aircraft was the forward fuselage of an F-4 Phantom II marked in USAF Thunderbirds colors. 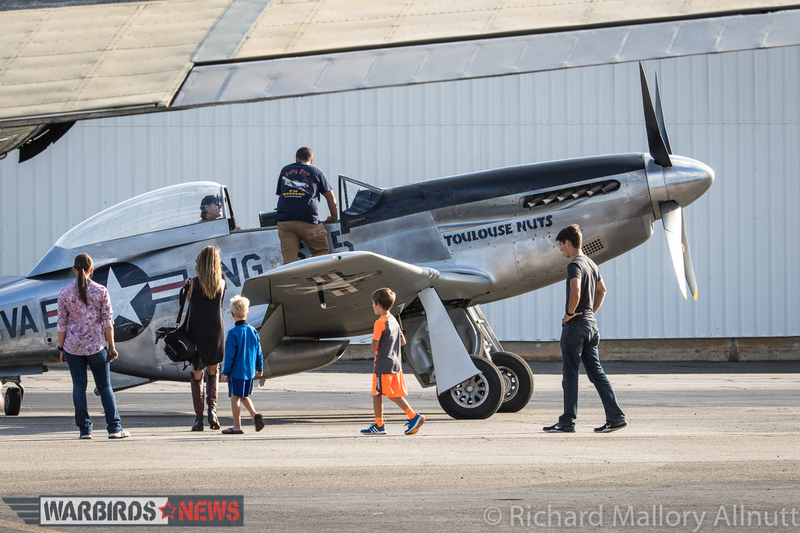 A steady stream of visitors were lining up for a chance to sit in her cockpit and have their photographs taken too. 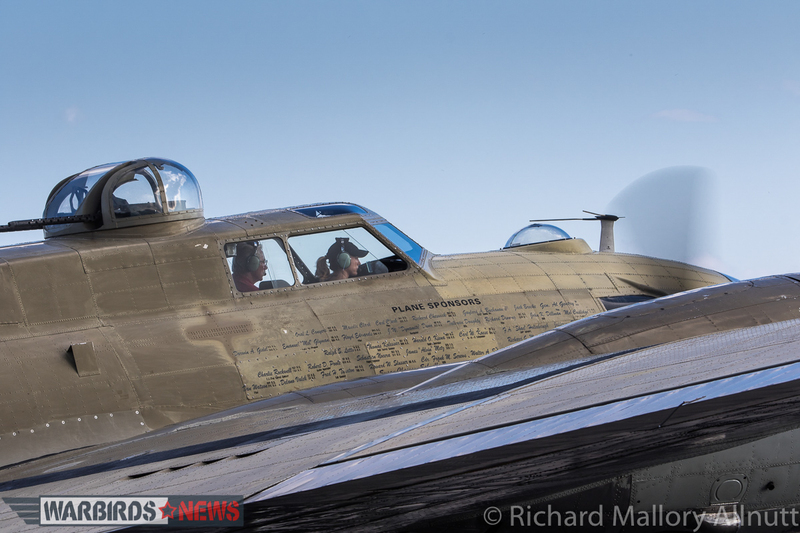 The four Collings Foundation warbirds have since continued on their tour. 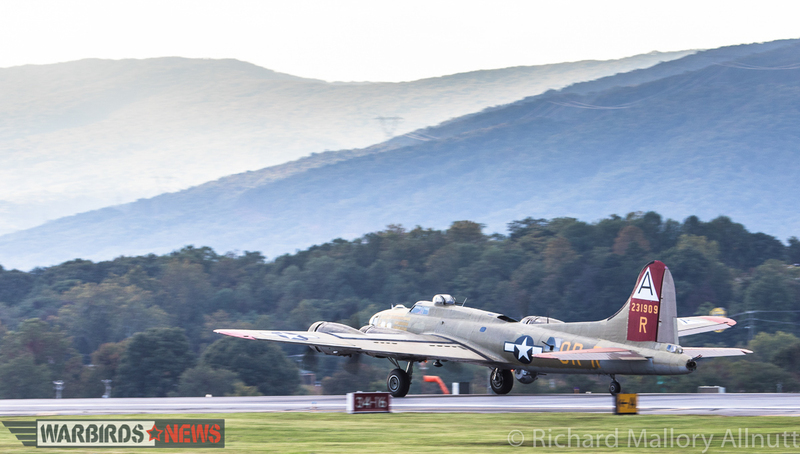 Their current schedule shows just three more appearances left this season: Montgomery, AL Oct.31st-Nov.2nd; Tallahassee, FL Nov.2nd-4th; and Leesburg, FL Nov.4th – 6th. 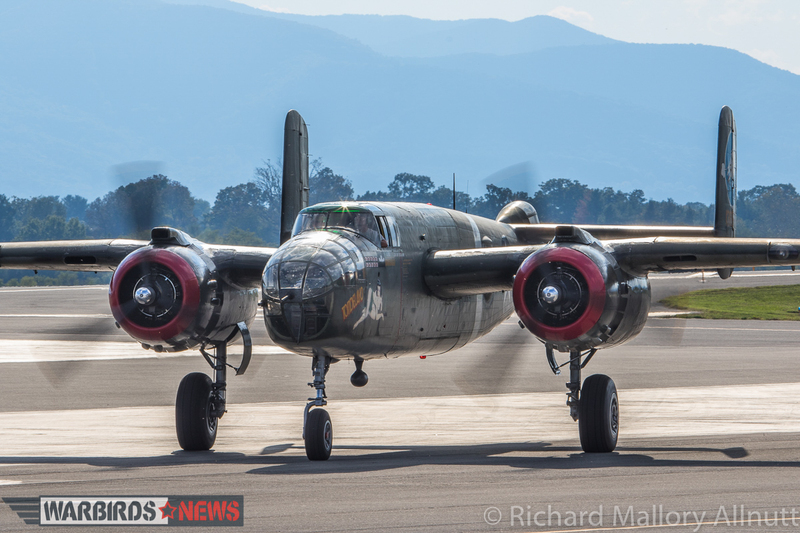 Please do check the tour website for any changes to the events and/or locations. 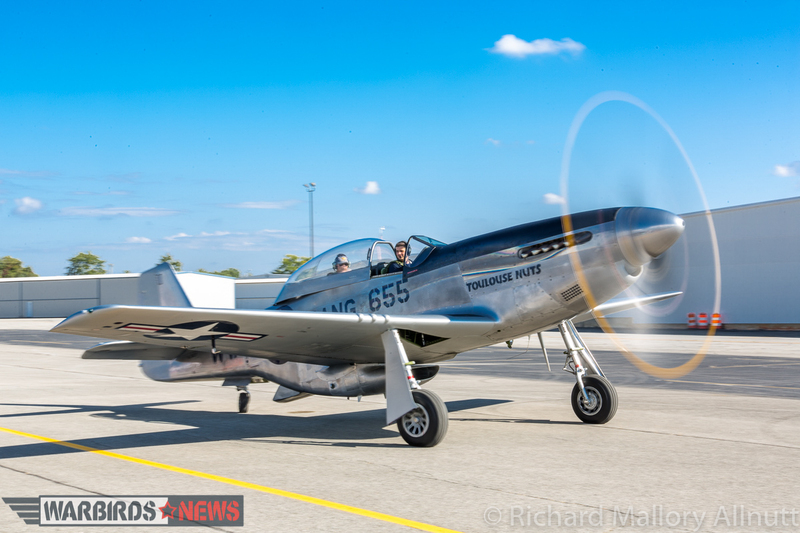 Following the season finale in Florida, the aircraft will disperse to their winter maintenance sites in preparation for next year’s tour. 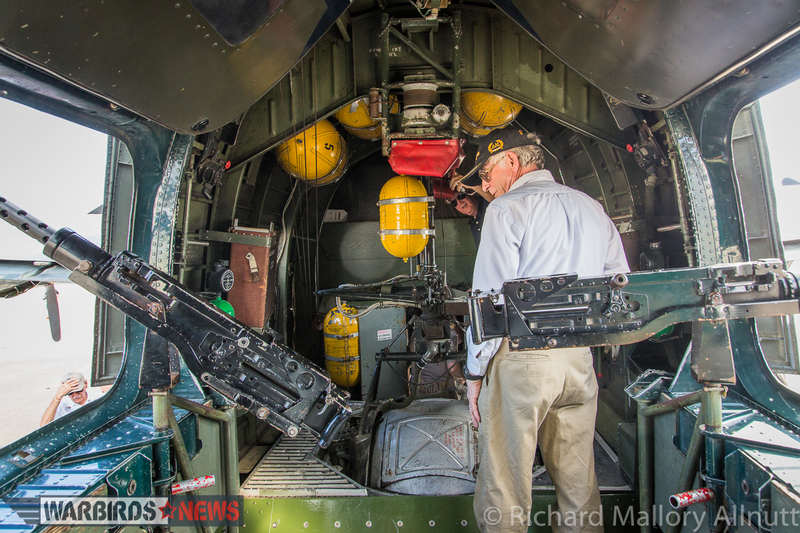 We hope that you enjoy seeing some of the images from our visit. 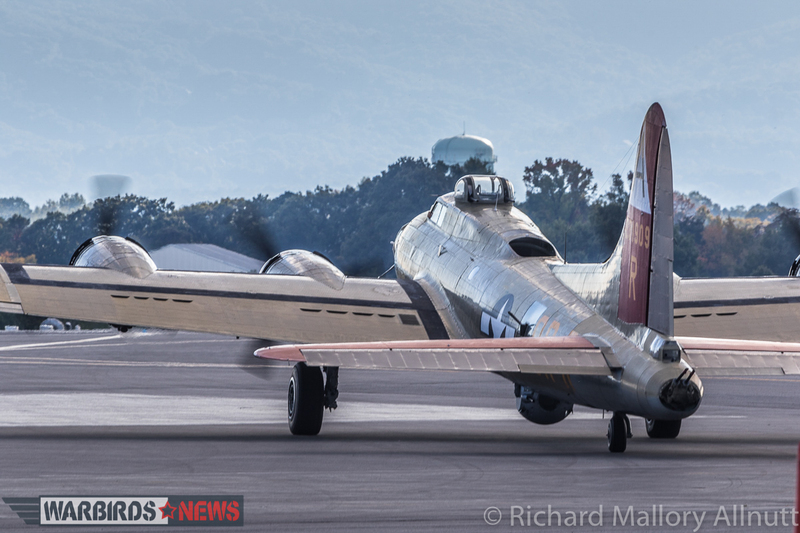 This is a great post and the photos are beautiful!! 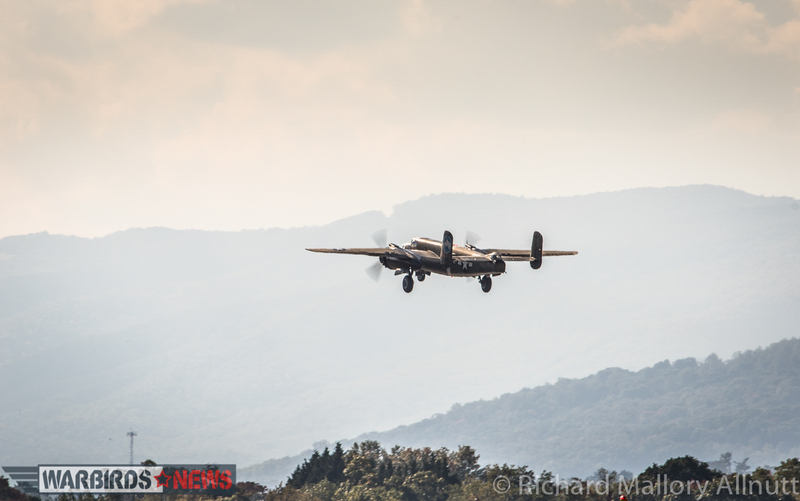 Thank you for sharing this!! 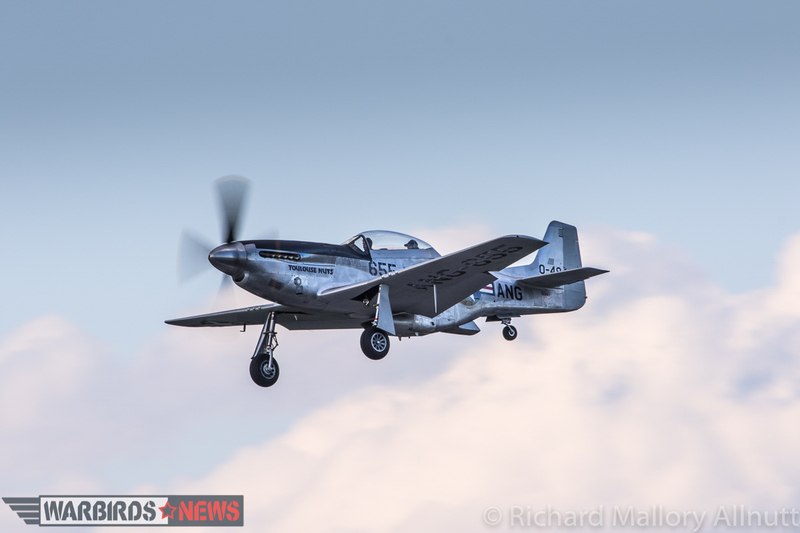 Many thanks indeed Jamie… I really enjoyed my visit!